One University Research Associate-1 (URA-1) for a two-year term starting asap. The URA position is a two-year term, non-tenured Early Career Position. Has shown capacity to conduct archaeological research and has a good publication record. Submit all application documents to Ms Digna Jacar at the ASP Administration Office. 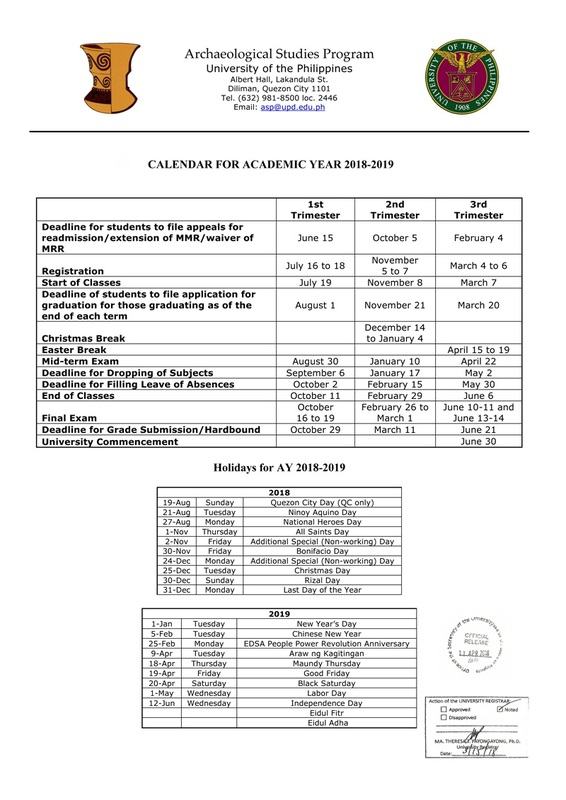 Please check here for the Calendar for Academic Year 2018-2019. 29 September 2018 - Deadline for the applications to the Diploma, M.A./M.S. and Ph.D. programs in ASP for the Second Trimester of the Academic Year 2018-2019. *Applicants should have finished a Diploma in Archaeology or an equivalent degree. For the relevant forms and requirements, please check the Admission Requirements. Submit requirements to Ms. Digna Jacar at Albert Hall, Lakandula St., UP Diliman, Quezon City. 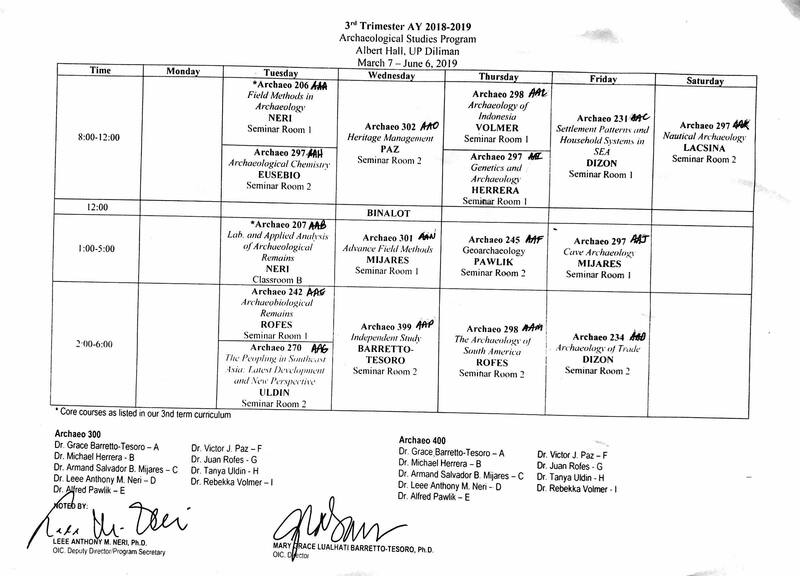 Beginning the Academic Year 2017-2018, the University of the Philippines-Archaeological Studies Program will follow a trimester calendar. Click link to view pdf. ASP will accept applicants to the program during the first and second terms. Please visit this page for notice on application deadline. 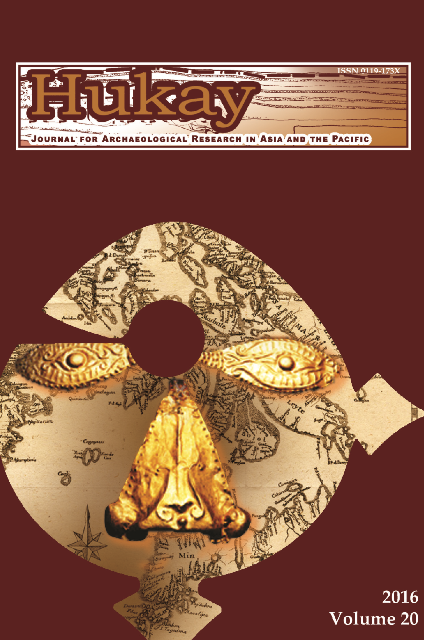 Hukay, the Journal for Archaeological Research in Asia and the Pacific, is now available online. The third online issue, Hukay: Volume 20, can be viewed in the Hukay Webpage alongside past issues. Individual articles and book reviews of this issue can be downloaded at Hukay's U.P. Diliman Journals Website. Keep an eye on this space for the next Binalot Talks. 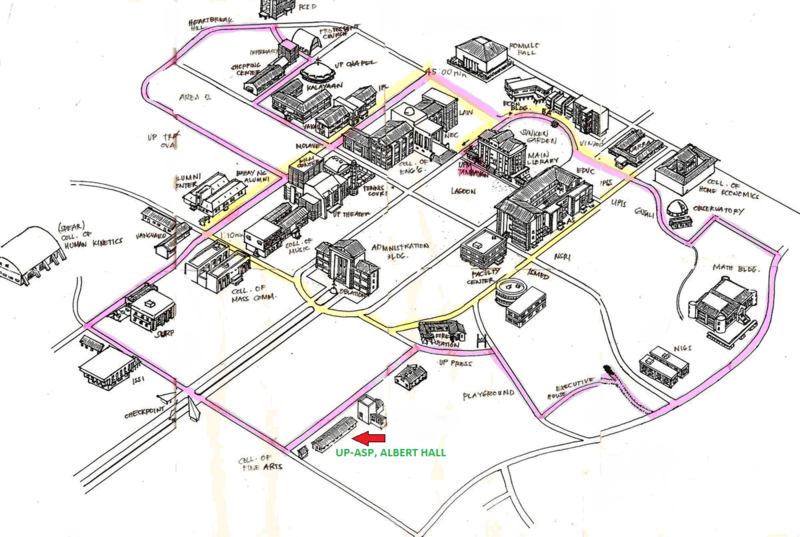 Note: We will be holding all binalot talks in ASP Albert Hall Building, Seminar Room 2, Lakandula Street, UP Diliman [click to see map]. For more information, including the map, please check the Binalot Talks page or visit the Binalot Talks Facebook. 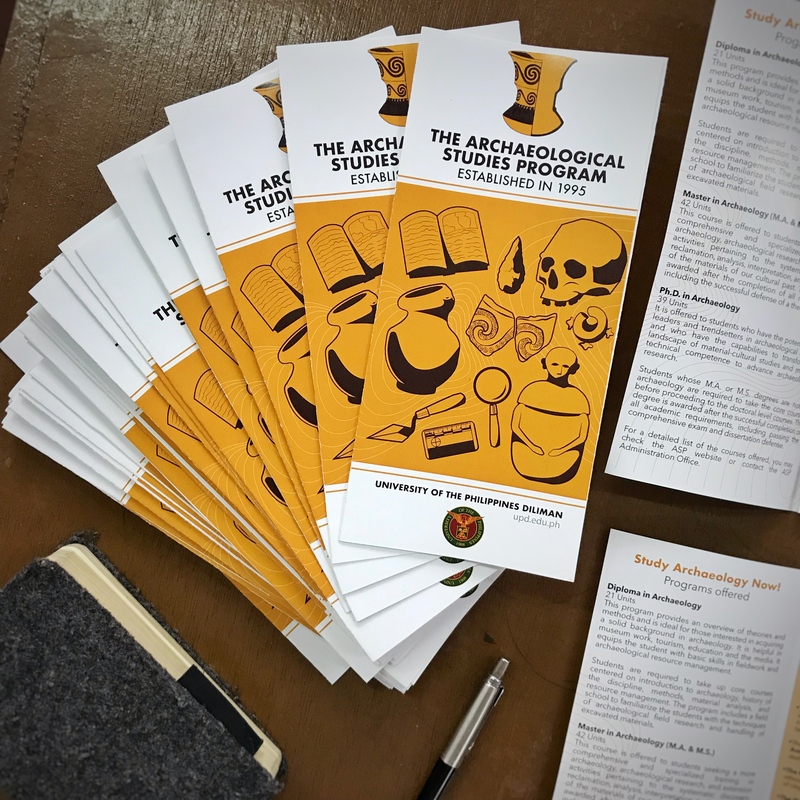 The Archaeological Studies Program's Library Webpage is now online.